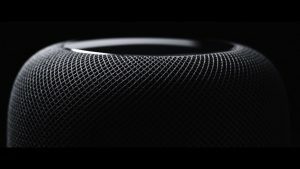 A survey conducted by Raymond James has indicated that demand for Apple’s HomePod smart speaker is picking up. According to the survey which was carried out last month on 500 consumers, approximately 14% of those who own iPhone have an intention to purchase the HomePod. This demand is higher than that of Amazon’s smart speaker, the Echo. Additionally, strong demand was noted for Apple’s other products such as the Beats wireless speaker, AirPods and the Apple Watch, all of which are expected to add to revenues for the tech giant as the sales of the iPhone flatten. The HomePod was launched during Apple’s developer conference last month and will become available to consumers in December. It functions in a similar way to the Amazon Echo despite the fact that it is considered a smart speaker as opposed to a smart assistant. The HomePod is also more expensive than the Echo since it costs $349 while the Amazon smart speaker is priced at $180. Of those surveyed, 19% have the intention of buying a speaker from Apple and this includes both the HomePod and the Beats smart speaker. The percentage of consumers who are planning to purchase an Amazon Echo or Dot or Tap is 16%. Consumers who own an iPhone and who are looking to buy Bose Bluetooth speakers were 18%. Apple Watch’s demand is also rising as 12% of consumers intend to purchase the device. This is the healthiest demand for the smart watch that analysts have observed since it was launched. Demand for the smart watch is now equal to that of Fitbit which is also at the 12% level. Though wearables contribute just 5% of the revenues for Apple, this is a category that analysts believe will register consistent growth in the coming years as demand will continue to grow. “Last quarter, driven by strong y/y trends for Apple Watch and high demand for AirPods, the category grew 31% y/y, and we suspect similar growth is likely the next several quarters,” wrote Tavis McCourt, an analyst at Raymond James. Analysts from Raymond James also expect the revenues that Apple generates from services and software to continue to grow. When second-quarter earnings report comes out later this month, the analysts estimate that revenues from this segment will have increased by approximately 20% from a similar quarter a year ago. This segment consists of Apple Pay, Apple Care, iCloud, Apple Music, Apple Store and iTunes.